Dunia Perpustakaan | Lowongan Pustakawan | Informasi lowongan kerja terbaru dari Bandung Independent School. 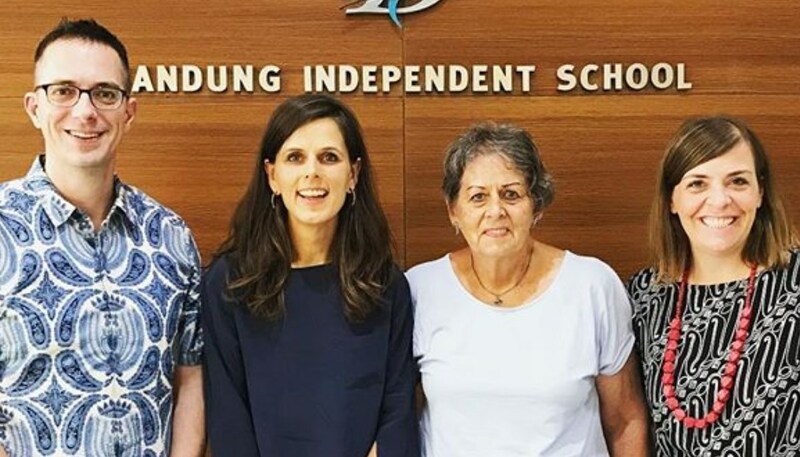 Bandung Independent School adalah sekolah dasar dan menengah di Bandung. Didirikan pada tahun 1972 untuk melayani kebutuhan masyarakat asing dan lokal. Sekolah menawarkan kelas-kelas mulai dari pra-sekolah hingga Kelas 12. Bahasa pengantar menggunakan bahasa Inggris. Saat ini Bandung Independent School membutuhhkan Pustakawan yang salah satunya harus mempunyai kemampuan literasi yang baik. Through relevant, challenging and engaging programmes, we inspire every learner to become skillful and courageous, empowered to participate responsibly, successfully and with integrity in a global community. Position To support learning from within the library environment. Partner with classroom teachers to design engaging inquiry-based units involving reading, writing, oral presentations, media literacy, and technology. Offer advice for interdisciplinary curriculum connections (e.g. find a selection of historical novels that are read in English and provide context for a history unit). Work with students to help them with any information-related task, helping them to locate and select information appropriate to purpose, interest and readability. Work with small groups or a full class to develop students' information literacy skills (e.g. creating good research questions; identifying and using research tools that meet the needs of specific assignments; searching the web strategically with appropriate search engines, selecting multimodal resources appropriately to suit purpose and audience). Cultivate a love of reading by providing suggestions for readers of varied interests and at different reading levels, including picture books, novels, nonfiction books, magazines, graphic novels, animated picture books, online chapter books and audio books. Build library collections based on the interests and needs of the students, staff and community and inform the school community about new additions to such collections. We believe that there is no greater impact on learning within a school than the quality of its teachers. Join our team of world-class teachers at the best school in the best city in Java! We are currently recruiting for a limited number of vacancies for the 2019-20 academic year. Please submit your CV, teaching certification(s), and cover letter by email to head@bisedu.or.id. Please note that we will only consider IB-experienced, professional teachers who are fully certified to teach in their area of expertise. Due to the volume of applicants we apologize if we are unable to reply to every applicant.